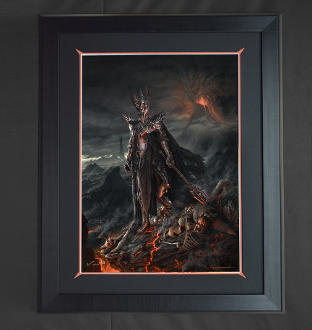 Sauron is now available fully framed for both Canvas and Paper giclees. The Paper Giclee utilizes archival paper by Breathing Color. The approximate framed Paper outer dimensions are 25.5 x 31.5 inches.